(Reuters) - Telecommunications equipment and software vendor Avaya Holdings Corp is considering a leveraged buyout offer from a private equity firm that values it at more than $5 billion, including debt, people familiar with the matter said on Sunday. The acquisition offer comes 15 months after Avaya emerged from bankruptcy protection, the legacy of a previous leveraged buyout, its $8.3 billion sale to private equity firms TPG Capital and Silver Lake in 2007. Avaya's board of directors is evaluating an offer from a private equity firm that values it at more than $20 per share, the sources said. Avaya shares ended trading on Friday at $13.21, giving it a market capitalization of $1.5 billion. The company also had $3.2 billion in debt as of the end of December. The identity of the private equity firm making the offer could not immediately be learned. 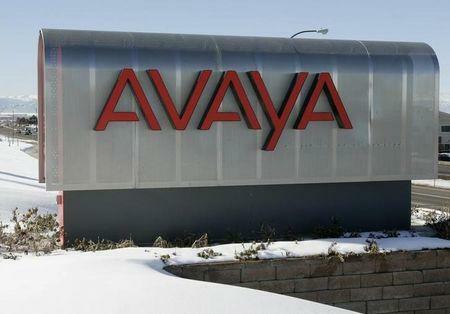 Avaya has attracted acquisition interest from private equity firms over the last few months, and there is no certainty the latest offer will result in a deal, the sources said. The sources asked not to be identified because the matter is confidential. Avaya did not immediately respond to a request for comment. Based in Santa Clara, California, Avaya is one of the world's largest providers of telephony systems. It was spun off from Lucent Technologies Inc in 2000, which used to be part of AT&T Inc.
Avaya, which competes with Microsoft Corp and Cisco Systems Inc, has been trying to boost its business of providing communications software to companies, as its hardware business became more commoditized and dated. It has also been seeking to broaden its offerings of cloud-based communications solutions. Software and services accounted for 83 percent of Avaya's revenue of $738 million in the three months to the end of December. That was down from $752 million in the year-ago period. The company blamed currency exchange rates and the U.S. federal government partial shutdown for the weaker earnings. Operating income was $50 million, up from $38 million a year ago. Avaya's contact center business, which powers the customer care and sales operations of some of the world’s biggest companies, has also attracted acquisition interest in the past from private equity firms, including Clayton Dubilier & Rice LLC, Hellman & Friedman LLC and Permira Advisers LLP. Hellman & Friedman and Permira own Genesys Telecommunications Laboratories Inc, a U.S. provider of call center software.